Dr. Sampson Davis, Dr. George Jenkins and Dr. Rameck Hunt, known as the Three Doctors, spoke to hundreds of people assembled in the auditorium of Newburgh Free Academy, in Newburgh, NY, on Saturday, June 11, 2011. 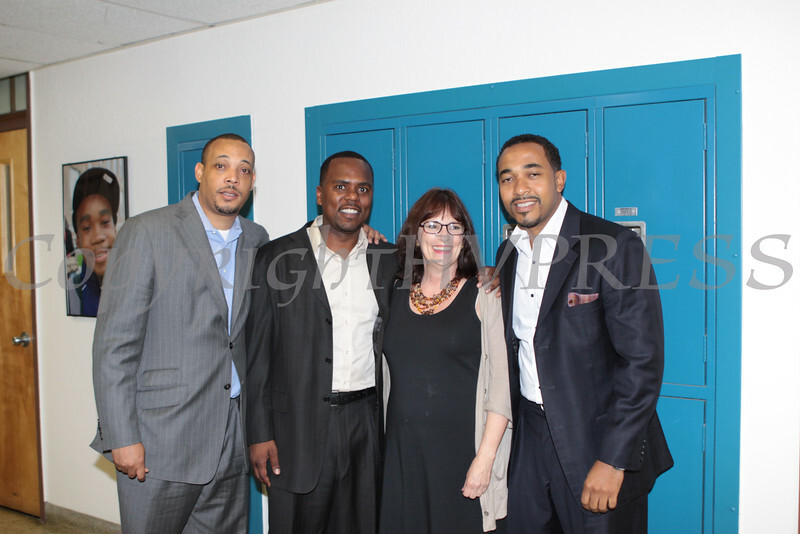 Dr. George Jenkins, Dr. Rameck Hunt, and Dr. Sampson Davis pose with GAMS Vice Principal Laura Bair, who was responsible for their visit to Newburgh Free Academy, on Saturday, June 11, 2011. Hundreds attended the event to hear the doctors inspirational story. Hudson Valley Press/CHUCK STEWART, JR.